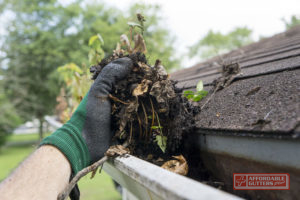 When Should You Have Gutters Cleaned? Home maintenance as a general rule should be conducted at the very least annually or on an as-needed basis. As far as your property’s gutters, they should be checked when the colder weather seasons come around in order to gauge if you should rely on the assistance of a gutter cleaning service to clean out fallen leaves. After a particularly windy or heavy storm, you may even see some flying debris that has landed in your gutters as well as other blockages that could wreak havoc on the drainage system of your roof if not removed in time for the next storm. For gutter cleaning and services consider the help of leaf guard gutters! Installations can be as helpful as bathroom remodeling when certain areas of water drainage systems need sprucing and correction! Consider the following information so you can get a better understanding about why cleaning your gutters is essential for ensuring the longevity and durability of your home! Why gutter cleaning is important? Gutter cleaning is important as it ensures proper roof drainage and prevents damages from occurring. Your gutters are installed in order to provide a streamlined path of water removal away from your roof, siding, landscape, and the foundation of your home in order to feed directly into your sewage system. How much is gutter cleaning service? A gutter cleaning service cost can range from $100-$250. Depending on the size of your home or the number of stories of your house. If there are special procedures involved you may have extra costs between $90-$225 added to the original amount. Discuss your specifications with a professional for more information. What does gutter cleaning include? A gutter cleaning service will typically include cleaning out the debris and leaves that are obstructing the pathways of the gutter system. Such debris will be bagged and the entire system or line will then be flushed out. 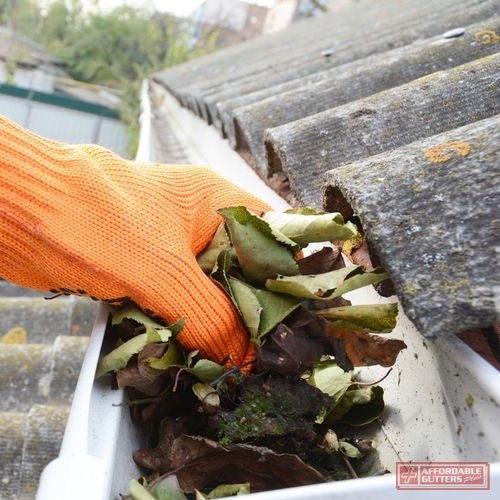 What happens if gutters are not cleaned? If your gutters aren’t cleaned and a storm hits you can expect water to overflow on several different pathways such as onto your roof, siding or landscape. 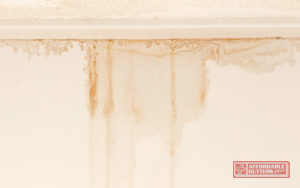 The resulting damages can range in severity as a result of improper water drainage. When the soil of your landscape has become too moistened your foundation will shift and move around which can cause pressures on your piping systems that connect to your home. Such heavy pressures from movement can cause corrosion on your pipes from rubbing against the chemicals in soil or even pipe leaks on your plumbing lines. What’s more, cracks in the cement of your foundation can form which can cause slab leaks. Additionally, when your roof is pooling with water, it can become waterlogged which can cause weakened roofing materials such as fascia, eaves and more. In the winter time, this water would become frozen unevenly on the roof which would lead to ice dams. What’s more, frozen water in the gutters can weigh heavily on your gutters which can cause them to sag, loosen or fall to the ground. Finally, heavy waterfall around the roof can pour off onto the siding walls of your home which can cause water stains and loosened panels depending on the materials composed there. 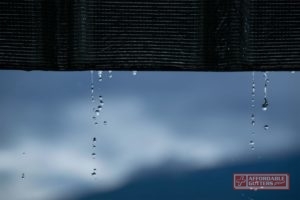 Can dirty gutters cause roof leaks? A dirty gutter or clogged gutter can cause water damages to your home as water runoff would be blocked. With the proper paths to the downspouts blocked water may overflow on the roof and seek alternate paths of escape. If there is a crack or hole in your roof this could be aggravated, worsened, weathered further or weakened which could cause a leak to emerge inside your property. What is the best way to clean your gutters? The best way to clean your gutters can be by yourself or by relying on a house gutter cleaning service. Your gutters should ideally be cleaned at least once a year or even more often than that if there are overhanging trees or periodic storms. Consider these steps for a DIY job! Remember, if you feel your safety will be put at risk from slippery and wet conditions than rely on a professional gutter cleaning service to do the job! As of such, the first step is to get a reliable and sturdy extendable ladder. Once that is procured be sure to only place it on a sturdy surface so you don’t tilt and fall. If you require a helper to hold onto the ladder than incorporate them. If not, a ladder stabilizer could be used to help provide safer conditions. Secondly, be sure you’re dressed for the job as it can get muddy and damp; wear long-sleeved shirts, work pants and rubber or grip gloves. If you have gunk in your gutters you can either use a plastic scoop, trash bags or your hands to collect it. If you would like to protect your landscape be sure to place a tarp around the fall out areas. Once the dirt, leaves, and gunk have been removed be sure to remove the remaining debris by hosing down the gutters and downspouts. Be sure to spot if there are any leaks on your roofing when you’re hosing it down as hosing it down can highlight any instabilities and cracks. 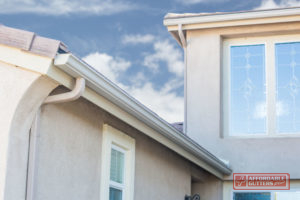 Finally, if there are any sagging areas or breaks in the gutter mount a gutter hanger to realign positioning or make the necessary gutter repairs if damages are more severe. When you require a gutter cleaning service in Canton and Roswell, GA call 770-735-4433 with Affordable Gutters Plus LLC! 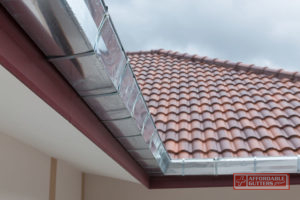 Posted in Uncategorized on April 8, 2019 at 5:02 pm by Affordable Gutters Plus LLC. Do Gutter Leaf Guards Really Work? Consider gutter guards to assist in clearing out leaves & other debris! Prevent gutter clogs & allow for rain water to flow naturally from your roof! If your home resides in a region where rainfall and high winds are prevalent, or perhaps when autumn hits you often experience high levels of leaves falling, it may be beneficial to install leaf guard gutters. Gutter guards act a protective and removable addition that is placed inside your gutters to catch debris. The openings are able to allow for water to seep through while it catches bigger objects like dirt, debris, and leaves. To get a better idea, you can think of some types of gutter guards as a sort of gutter colander or drain strainer. How much are leaf guard gutters? They range in costs between $1.50-$10 per linear foot. Do you need to clean gutters with gutter guards? It’s recommended to clean out your gutters at least once a year! To go with the strainer analogy, you can remove the guard and dispose of the gunk that was caught every so often to protect the progression of natural water flow. Gutter guards are ideally designed for easier removal of gunk and should still be cleaned out every so often, at least a year unless specified otherwise. Do gutter guards work with pine needles? 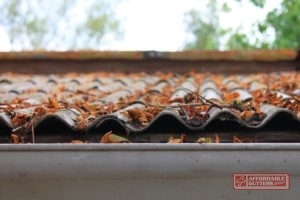 Only a few certain leaf guard gutters are able to protect against small and thin objects but most are not able to due to the size of the openings or functionings a particular gutter guard. How are leaf guard gutters installed? Perforated: perforated leaf guard gutters are made of metal and have holes distributed throughout the metal plate. Although this type of gutter guard is able to keep out leaves it’s not able to keep out more fine materials such as seeds, pods or needles. This option is prone to having small debris getting stuck in their perforated holes which increases the likelihood of overflowing due to the coverage of the opening. Screen gutter guards are easy to install & clean out! Screens: screens can come in different opening sizes and can be made from mesh or plastic. Fine mesh screens, for example, were specifically designed to remedy the issue of caught material often experienced with perforated metal leaf guard gutters. However, the issue with fine openings may be that they won’t be able to handle rainwater well and won’t allow them to pass through the guard and into the gutter for proper water run out. Regular mesh or plastic screens keep bigger leaves away and will let water through, but they may be susceptible to being blown off by the wind and are less likely to stop smaller objects from going through. Brushes: bottle brushes are leaf guard gutters that are made from bristles that are inserted inside gutters and aim to prevent the accumulation of debris and leaves. Small materials aren’t able to be blocked and larger objects either get stuck in the brushes or behind them. It’s hard to remove what is trapped as the entire unit has to be removed and most report that it’s better to avoid this option entirely. Foam: foam leaf guard gutters are made from polyurethane and are porous enough to allow for water to pass through. However, everything else just builds up on top of the foam which will clog easily if not cleaned regularly. These too require the entire guard be brought out and reinstalled for cleaning. Reverse-Curve: reverse-curve or surface tension leaf guard gutters have been around since the early 20th century and have been proven as a good option for protection. They are designed to form a curve or nose that will allow debris to slide off the roof while water is encouraged to follow the curve and move downstream. These options are not readily available in the market and must be professionally installed. Some may lift your roof’s shingles so it’s important to select a type that isn’t prone to this occurring. For leaf guard gutters installation in Canton and Roswell, GA call 770-735-4433 with Affordable Gutters Plus LLC! Posted in Uncategorized on February 5, 2019 at 8:34 pm by Affordable Gutters Plus LLC. 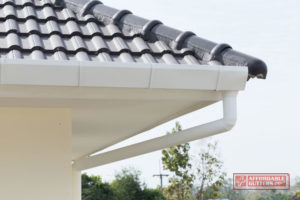 What Is a Seamless Rain Gutter? Seamless Gutters Are Installed All in One Piece, So There Are No Seams! One of the most important parts of our roofing systems are the gutters. Without gutters, areas on your roof like your fascia and soffit will get damaged and require fascia repair service. When it comes to gutters, we never really think that there are different types. However, there are different designs of gutters that can provide a lot of advantages for your home. One of these types is seamless gutters. A seamless gutter is a gutter system that is constructed in one whole piece instead of several different pieces. This is great as this kind of gutter is customized specifically to your home and doesn’t require a ton of pieces. Because they are made out of one piece of metal, usually aluminum, they don’t have any seams, which means that they won’t leak! 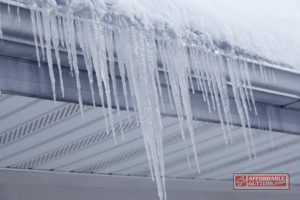 This is a huge plus considering gutters are used to transport water off your roof, as well as keep water off your home. If you would like to learn more about seamless gutters, call Affordable Gutters Plus LLC at 770-735-4433! When homeowners are in the market for a new gutter, they tend to have to choose between seamless and regular gutters. When we say “regular gutters” we mean the gutters that come in different pieces and then they are installed on the edge of the roofline. It’s important that before you choose which is the best for you that you know the pros and the cons. 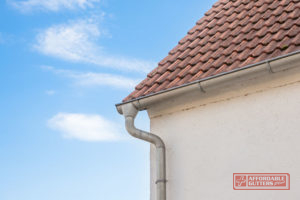 With regular gutters, you will have an easy installation, which means you will have your gutters faster, but because there are different pieces that make up the whole gutter, there is a potential for leaks. Seamless gutters, however, are strong because they are made of aluminum, and because they don’t have any seams, there is no risk of leaks. 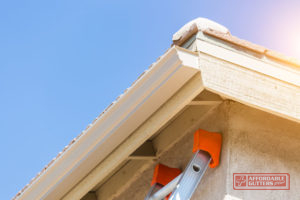 The cons for seamless are that they can be a bit costly and you will need a roofer who has the knowledge to perform this type of gutter installation. While the cost of seam gutter installation can be a bit much, there are so many reasons to choose seamless gutters. Custom Made: Because they are made specifically for your roofing system, they are guaranteed to fit well. When they fit correctly, they are able to do their job properly. Fewer Issues: There can be a ton of issues with regular gutters, including leaks, clogs, and backups. Because there are no seams in a seamless gutter, you don’t have to worry about these types of issues. Easy Maintenance: Maintenance is easy because you don’t have to do it as often than you do with regular gutters. Since there aren’t seams, leaves and debris can’t get stuck in the joints. Visually Appealing: Regular gutters have those joints and fasteners that make them really unattractive, but a seamless gutter has none of those things for you to worry about. Another great way for homeowners to keep their roofs in great shape is with roof drainage. If you are interested in roof drainage installation for your Canton and Roswell, GA home, please call our roofers at 770-735-4433! Posted in Uncategorized on August 6, 2018 at 9:12 pm by Affordable Gutters Plus LLC. Fascia Often Go Unnoticed But Play A Big Role In Your Roof and Gutter System. As a homeowner, you do your best to keep your property protected against damage from storms and water. Your gutter system plays a huge role in how water is carried away from your home, but did you know that your roof fascia supports your gutters and ensures they can do their job? An often overlooked part of your roof, the roof fascia board work with your gutters, allowing them to disperse water and debris away from your roofing system. However, these boards can be damaged by that same water, pests, and more. It is important to keep this part of your system at its best to ensure your gutters and roof stay healthy as well. These issues leave your roof open to further damage from the environment. Repair can get your roof fascia back to its best in order to support your gutter system. Are your fascia in need of repair in Canton and Roswell, GA? When you need gutter installation and roof fascia repair, choose Affordable Gutters Plus LLC for quality services and materials. We are always available to get started on your service needs. Call us today at 770-735-4433 and speak with one of our professional staff! Posted in Uncategorized on July 3, 2018 at 9:00 pm by Affordable Gutters Plus LLC. Why Is A Drip Edge Necessary For Your Home? In 2014, the State of Georgia enacted a building code in the Georgia State Minimum Standards Residential Code that states that all buildings must have a drip edge. 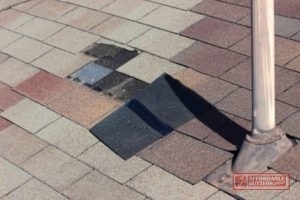 Most other states do not require this code, and many roofing contractors believe that if a home’s shingles extend far enough over the gutter, then installing a drip edge is not necessary. The state of Georgia deems a drip edge necessary due to the amount of rainfall the state gets every year and to ensure that its residents are safe with a sturdy roof. It is a simple and affordable one-time installation that will help to prevent your roof from leaks and damage. Do You Need Drip Edge Repair or Installation? Call Us Today! Prevents water from seeping into the gap or crack between the decking and fascia. If you need affordable drip edge installation or repair in Canton, GA, call Affordable Gutters Plus LLC at 770-735-4433 today. Posted in Uncategorized on May 29, 2018 at 4:17 pm by Affordable Gutters Plus LLC. 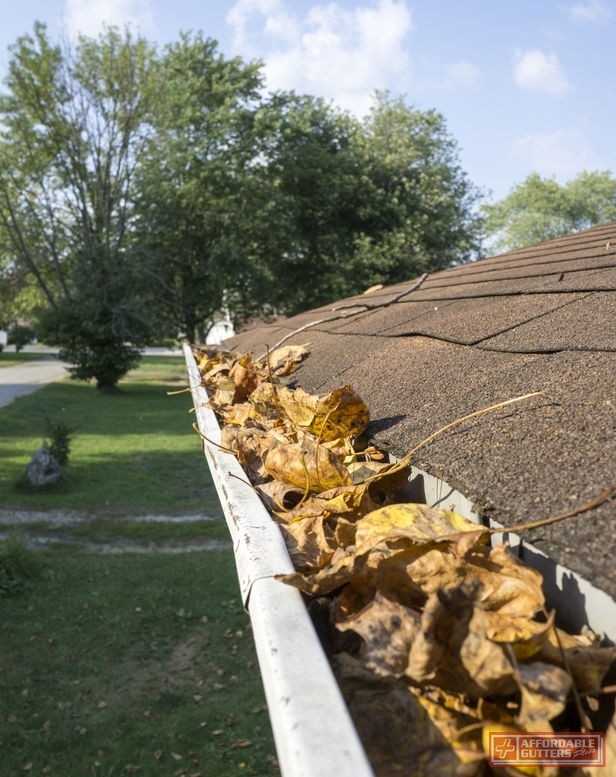 Leaves and Dirt Will Clog Up the Gutter and Corrode Your Fascia. Are you loving your new metal roof? One of the top perks for homeowners with metal roofing systems is the relaxed maintenance. Taking care of your metal roof is easy. With a few metal roof touch ups each spring and fall, you can personally extend the life of your roofing system. Try these few steps when you perform your bi-annual checkup. Don’t worry, you’re not going far. Bi-annual maintenance on your metal roof should always start with a short walk around your home. You may want to grab some binoculars though. Examine your rooftop for small scratches in the paint, dirt or grease smears, fallen debris and foliage. Once you’ve finished your walk, take a ladder and a trash bag, then get ready to begin your cleaning. Start by filling your trash bag with all the junk that’s filled up your gutter over the last few months. This may be a bit of a chore, but cleaning out your gutter prevents rain water from spilling onto your fascia and corroding the side of your roof. Plus it keeps your foundation safe. After you’ve cleared out the debris in the gutters and on top of your roof, you’ll be ready to perform some final touch ups. With a paint brush and little paint (approved by your roof’s manufacturer), you’ll be able to cover up any scratches left by tree scrapes or metal chips in the coating. This protects exposed pieces of your roof and prevents them from rusting. [Side note: make sure you never use a sprayer for minor touch ups, as wind will easily blow the paint beyond your intended sections]. For any leftover dirt or grease smudges, Formula 409 (or a similar spray solution) and a soft, damp cloth will clear away most smears. That’s all there is to it! These few metal roof touch ups can extend the life of your rooftop and lower the risk of unexpected repairs. For more information about caring for your metal roof, or to learn about the types of metals available to consumers, talk to one of our experts at770-735-4433. Posted in Uncategorized on April 25, 2018 at 4:26 pm by Affordable Gutters Plus LLC.